and can operate with or without the use of glycol,” said Per. The system is targeted at large injection moulding machines and blow moulders. Per also provided an account of a client in Thailand that reduced its energy bill by 8 million baht a year and paid off the cost of the Ecodry over two years. And while the Frigel officials agree that cooling towers are low priced and simple, they add that the disadvantages outnumber the benefits. These include: calcium/solid build up in pipes and the heating elements; algae/bacteria growth; continuous maintenance; big temperature variations; high energy/water use, and a larger contamination risk of Legionella bacteria, the cause of legionnaires disease. Frigel, established by the Dorian family in Italy in 1960, set up an exclusive distributorship in Thailand two years ago, with ex-Husky Injection Molding senior executive Marcus Sutch and his son Benjamin Sutch. Frigel Asia Pacific’s target markets are Australia and Japan, accounting for a third of sales each, in sectors (food/beverage processing and hospitals) other than plastics since it can also be used in HVAC/air conditioning systems. Globally, Frigel has about 5,500 Ecodry installations in more than 20 countries and operates three manufacturing sites in Thailand, Italy and the US. It will have a turnover of EUR40 million this year. At the open house, Frigel’s chillers were showcased with an IML technology on a 160tonne Engel Emotion, together with an SCS mould; Japanese auxiliary maker Matsui’s PET system; Belgium-based Verstraete’s labels and robots/IML automation from Italian firm Campetella. Meanwhile Belgian printing company and IML technology provider Verstraete is planning to open an office in Southeast Asia by the year end, to cater to the market. “We have not decided if it will be in Singapore or Malaysia,” Business Development Manager Dieter Maes told PRA. The firm claims a 35% market share globally and has a turnover of EUR90 million, only in IML. “We print 40 million labels/day and ship 30% outside Europe,” said Maes, adding that the firm first produced in mould labels in 1990. Maes also added that the IML technology is “useful in Asia, since quick design changeovers are required as in Asia forecasts are difficult to make. This means that decorating in the mould makes it easier to change from one label to another.” Some innovations include in-mould labels with an oxygen barrier for increased shelf-life; with a light barrier to maintain the food flavour without the need for preservatives; Superclear IML “that looks like there is no label”; and a metallic effect “for differentiating the product.” Maes also highlighted the double-sided printed label, which allows the possibility of adding information on the reverse side of the label, and a peelable label that increases the reusability of the packaging container. PU and styrenics growth to come from Asia Styrenics consumption is estimated to be 35,007 kilotonnes in 2013 and will grow by 4.81% annually and will be worth US$108,510 million till 2018. The increasing demand of styrenics in Asia Pacific, especially in China, and growth in end-user applications such as construction and automotive industry are key factors driving the global market, says a new report from Market and Markets. Asia Pacific is driving the market contributing more than 50% of the global demand. Due to cost and performance advantages, UPR is widely used in the manufacturing of wind blades, rotors and ventilators, thus ensuring high growth in wind energy applications. Similarly, tyre labelling regulations, being adopted by different countries such as Germany and Japan has led to an increased SBR demand worldwide, especially in the automobile industry. Meanwhile, against the backdrop of continuing affluence, PU demand is continuing to shift towards Asia Pacific, due to saturated industrialised markets in Western Europe and the US, says a new report from Ceresana Research, adding that Asia Pacific is the largest market for PUs at 44%, outpacing Europe and the US. declining output rates in the automotive industry, slackening construction business, rising energy and raw material prices.” Despite the uncertainties, Ulrich Reifenhäuser, President of K2013, is carefully optimistic. “Some global regions such as Japan show significant growth, others like the US, are experiencing a slight recovery and China is anticipating a 7% rise of its economic growth in 2013.” Reifenhäuser anticipates a stable year, with at worst, a slight decline and is convinced that the K2013 will revitalise the industry. Traditionally, machinery suppliers make up the largest exhibitor group and this year, they will take up 119,000 sq m of space, more than two-thirds of the overall exhibition space and 4,000 sq m more than 2010. The next largest group comprising raw materials, semi-finished goods and industrial components, will take up an area of 37,500 sq m, almost 3,500 sq m more than 2010. Overall, 3,100 exhibitors from 60 countries will participate in the triennially-held show. Sirius technology. Catalysts enable a precise alignment of plastics properties with varying demands and help determine the hardness, plasticity and/or elasticity of end products. •	Global provider of packaging solutions Sidel is opening an office in Dubai and a regional HQ in Frankfurt, Germany. A modern new facility will operate as Sidel’s Dubai HQ, serving its customers in the Greater Middle East and Africa, while in Frankfurt, it will serve customers in Europe and Central Asia. Both offices will be fully operational by September 2013. •	Saudi Organometallic Chemicals Company (SOCC), a 50-50 joint venture between Saudi Specialty Chemicals Company, a manufacturing affiliate of Sabic, and Albemarle Netherlands, has started up a 6,000-tonne/year aluminium alkyls facility in Jubail, Saudi Arabia. The tri-ethyl aluminium (TEA) is used as a co-catalyst in the plastics industry. New Changsheng Plastics Films (NSC), a speciality film manufacturer located in China. Financial details of the transaction were not disclosed. The company said the acquisition is not expected to affect its earnings projections for 2013. •	Australia-headquartered global packaging manufacturer Amcor is acquiring Chinese firm Jiangsu Shenda Group’s flexible packaging business for RMB350 million. The latter has sales of RMB440 million/ year and two plants in the Jiangsu province in Eastern China. Two thirds of its sales are to the pharmaceutical, snacks and culinary end markets. •	US-based Graham Engineering Corporation has acquired the assets and assumed certain liabilities of sheet extrusion solutions provider Welex Incorporated. This follows the Graham Group’s acquisition of majority interest in American Kuhne in October 2012, furthering Graham’s investment in plastic processing technologies. •	With a view to expanding its business in the US, German pipe corrugator machine maker Unicor has acquired majority ownership of Canadian firm Adescor, which develops, downstream equipment for the production of corrugated pipes: saws, cutters and bell in-line trimmers. In October 2012, the GAW Group from Graz, Austria, took over the majority control of Unicor. •	Germany-based International Process and Packaging Technologie (IPPT),a portfolio company of Deutsche Beteiligungs (DBAG) and owner of the Romaco Group, has purchased Kilian, a subsidiary of the Italian IMA Group. Kilian supplies tablet press machines for pharmaceutical, food and chemical industries and laboratories. It had sales of EUR45 million in 2012. •	Swiss speciality chemicals firm Clariant and Wilmar International, an Asian agribusiness group, have received the relevant merger clearances for the establishment of their 50-50 joint venture. Headquartered in Singapore, the global amines company will produce and sell fatty amines and selected amines derivatives. •	US-based chemicals firm Huntsman is buying another US supplier Oxid to expand its PU foam insulation business. Oxid's Terol polyols can be used in the production of energy-saving PU insulation products found in residential and commercial construction. The transaction is expected to close during the third quarter 2013. Terms were not disclosed. Oxid generated US$86 million of revenue in 2012. •	US-based Nordson Corporation has acquired Kreyenborg GmbH, that manufactures screen changers and melt filters, and BKG Bruckmann & Kreyenborg, which offers pelletising technology, from Germany-based Kreyenborg Group. Ecovio-based. The capsules not only protect the product and brew coffee in high-pressure coffee machines, yet may still be composted; along with the barrier packaging. The product was said to have been jointly developed in 13 months. In mid-May, the Swiss Coffee Company received the IDEE SUISSE "Golden Idea Award 2013" innovation prize for this product concept in Zürich for an "innovative contribution to the sustainable strengthening of the Swiss economy". Meanwhile, Swiss carton producer Tetra Pak has signed an agreement with Brazilian maker of biobased LDPE, Braskem, to use its renewably sourced material in all of Tetra Pak packages produced in Brazil. This breakthrough initiative, which will be limited in scope to Brazil only for the duration of the trial, is scheduled to start during the first quarter of 2014.
hour and the choice between five or seven layers. Using the optional edge encapsulation system, production speeds of up to 750 m/ minute are feasible, which provides an output on the winder of over 1,500 kg/hour of 12-micron film. to ship and pack cutlery in a smaller, more manageable size. The consumer can straighten the part and easily lock it in the open, useable position. IMC makes it possible to fold these parts and lock them in the closed position, prior to ejection from the mould. The closing arms provide precise movement with a well controlled closing force that is consistent between all of the mould cavities. and has since installed several winders in the US. the so-called "multitalent" in SML's winder portfolio. It offers machine and jumbo rolls on 3-inch cores; hand rolls on 2-inch cores; coreless and thin core technology. The firm will show the line in operation at the K2013 in Düsseldorf, Germany. Africa and China. Each of these machines takes 80 seconds to produce a complete set of door interior trim components for a car, says the machine supplier. BMW’s worldwide operation manufactures 2,500 3 Series cars/day. Meanwhile Mercedes, in cooperation with its Tier One supplier JCI, ordered six laminating units, which it uses to produce the door interior trims of the new C-Class. All of these machines have been equipped with an in-mould-graining tool developed by Kiefel. Mercedes will soon be producing 2,200 vehicles/day of the new model in its factories in Germany, South Africa, China and the US. The new C-Class will be available from 2014. THE NO. 1 FOR WORLD PREMIERES: K 2013 Get ready for your most important global business and contact platform. On a net exhibition space of more than 168,000 sqm, some 3,000 exhibitors from over 50 countries will be presenting innovative solutions and visionary concepts in the areas of machinery and equipment, raw materials and auxiliaries, semifinished products, technical parts and reinforced plastics. Plan your visit now. Welcome to your K 2013. Asian markets advancing in composites The key players in the EUR83 billion global composites market may well be the US, Europe and the Asia Pacific region. Advancements in matured economies may have bolstered demand for composite materials but it is the Asian region, despite its fragmented mix of developed and emerging economies, that has generated 36% higher revenues, compared to 34% and 23% for the US and Europe respectively. Asia also accounts for 41% of the total volume of global composites against 32% and 24% from US and Europe respectively, according to Angelica Buan in this report. Composites skeletal reinforcements in the form of 3D-Tow into GMT (glass mat thermoplastic) structures •	Civil Engineering: India-based Everlast Composites awarded for its 60-tonne load capacity composite manhole cover •	Defence and Protection: Australian VCAMM awarded for its high curvature armour systems Composites in flight Infiniti Research has forecast that the global aerospace composites market could reach US$3.95 billion by 2016. The report attributes the growth to factors such as increased utllisation of composites in aircraft design. Although, demand from general aviation is gaining heights, certain regulatory requirements (on materials use) could also challenge the market. The increasing preference for composites in the aviation industry is due to the material’s comparable light weight and ease of assembly. Compared to traditional construction materials like steel, aluminium or titanium, composites have better stiffness and strength despite its light weight. Research specialist Freedonia, meanwhile, specifically forecasts that the increased production schedule for Boeing’s new 787 Dreamliner will drive the bulk of the growth in demand, while Lucintel said that the aerospace sector is expected to yield the strongest growth rate with Asia Pacific and the US driving future growths in this segment. JEC exhibitor US-based ASC Process Systems anchors in the exponential growth of the aerospace sector, having 80% of its customers in this sector. Paul Parsons, Managing Director, told PRA that the emerging markets are in Asia. “Here at JEC, we have a number of potential customers from Singapore, Malaysia, Indonesia and Thailand, so we are here to meet with existing customers and to develop any new leads for new projects. In Asia, our China office covers the Asian market. There are lots Chinese suppliers here but we are looking for Indian visitors and those from Southeast Asia, from Malaysia, Thailand and Vietnam, which is an emerging market. The Japanese and US markets are already established so we are really looking at mostly the Southeast Asian markets,” he emphasised. Composites composite-focused NDT methods and inspection services. Nevertheless, the NDT segment is faced with lack of trained operators as well as limited knowledge about the structural complexity of composites, thus hindering market growth. Robotic systems, and software and hardware-based automation processes are currently being introduced and developed to fill in the scarcity as well as facilitate real-time damage detection in composites. German NDT firm Suragus, a JEC participant and awardee in the NDT catergory for its non-coupling NDT systems for carbon fibre products (dry fabrics and composites), uses electrical conductivity. “We call ourselves innovative, because the method we use is unlike any other NDTs,” claimed Richard Kupke, Project Manager. “We use these attributes to characterise fabrics as well as carbon fibre plastics so that gives us the unique advantage to already start early in the production chain to analyse whether the quality of the product is acceptable or not. Our method infuses electro magnetic fields into the material, then this is measured and some images are generated. These will show the distribution of the fibres and if there are gaps, misalignments or distortions,” he explained to PRA. Suragus’s distributor in Asia is Gala Science. It has offices in Singapore, Malaysia and Suragus supplies non-coupling NDT systems Indonesia. TPCs to drive the automotive sector The global thermoplastic composites (TPCs) market is expected to post a CAGR of 4.9% over the next five years (2013-2018), and reach an estimated US$8.2 billion in 2017, with the transportation segment as the its largest market, said Lucintel’s report. Again, TPCs exhibit properties that spell advantages to automotive manufacturers - weight and fuel savings as well as other high performance benefits. Costs (of the TPCs) remain to be a limiting factor for developing new applications, according to the report. First-time JEC exhibitor, Mitsubishi Engineering Plastics (MEP) showcased its continuous fibre-reinforced thermoplastics at the show. The Reny Tape, a proprietary moulding compound based on mainly polyamide MXD6 that has been reinforced with glass fibre, carbon fibre or special minerals, could be applied as structural parts or a metal substitute for several applications, such as automotive, electronic/electrical, construction, machinery and sporting goods. Kazunobu Maruo, Marketing Manager for MEP, said that the participation at the JEC was to meet potential customers, as well as target automotive markets based in Europe, Japan and the US. Vehicle fuel efficiency begins at the design stage Today, there are about 900 million cars in operation worldwide. By 2050, there will be an estimate of 1.7-2.7 billion cars on the road. One of the main concerns brought about by the global megatrend of mobility is that of increasing pollution levels and its resultant harm on our environment. Dr Christof Krogmann, Vice President, Asia Pacific, High Performance Materials business unit, Lanxess, offers insights on how lightweight design in automobiles enables green mobility. he weight of our cars has a direct relationship with fuel consumption levels – the greater the mass of the car, the more fuel required to power the vehicle. This is a worrying trend as fossil fuels are depleting. In 1959, a Mini Cooper weighed 650 kg. Today, a new model weighs in at over 1,000 kg. With expanding safety requirements and new drivetrain concepts such as electro-mobility further adding to the weight of vehicles, it is time to start cutting down the weight efficiently. Getting weighed down A rule of thumb when it comes to fuel efficiency is that a reduction of 100 kg in weight of a mid-range car can mean savings of 0.5 l of fuel over a distance of 100 km and 11.65 g less CO2 per km travelled (Green mobility – a comparison of measures for reducing CO2 emissions by Prof. Dr. Horst Wildemann, Munich Technical University). Just like marathon runners, the name of the game for automakers is therefore to ensure that weight is kept to a minimum. Increasing demands for comfort and safety cause the average weight of vehicles to spiral upwards. New drive concepts such as electric cars also add on to the weight of vehicles with battery packs. Lightweight design compensates for the negative consequences of new drive concepts and enables better adherence to safety regulations. Lighter materials that reduce the proportion of metal in vehicles also reduce overall weight. A lightweight design ensures that cars remain economical yet safe. Without lightweight design, modern mobility would be unthinkable. Lighter cars increase fuel efficiency and reduce CO2 emissions, thereby contributing to “Greener Mobility”. High demand in the pipeline Research firm Freedonia, in its latest report, unfurls a bright forecast for the 7.5 billion m world plastic pipe industry, which will increase 6.2% to 23 million tonnes/year by 2017, driven by growing development in Asia, says Angelica Buan in this report. Construction/Asia to drive the growth Freedonia’s report points at construction applications as a major growth driver, which is also akin to gains from the recovering US construction industry. Based on the low-cost, easy installation and performance, preference for plastic pipes has increased against materials made of steel, copper or ductile iron, that are traditionally used in construction applications. UK-headquartered consultancy Timetric also indicated a revenue spur in the global construction industry this year to the next, in its updated industry forecast. It said that India’ s rising infrastructure development in housing, roads, ports, aerospace and energy makes the country a key emerging market for the construction sector. Other countries such as Brazil, UAE, China and Saudi Arabia are also identified in the report as growth potential markets for 2014, whilst the US, Singapore, Australia and the UK as primary growth markets. However, France, Italy and Spain are expected to show weak performance in this segment. Market research institute Ceresana, in its 2012 report, points to the cable protection and agriculture sectors as additional growth drivers for plastic pipes. Forecasting total global revenues of more than US$80 billion in 2019 for the pipe industry, Ceresana sees Asia Pacific as a key sales market for plastic pipes, with the region accounting for more than half of the total global demand and increasing to 60% by 2019. Meanwhile, Beijing-based ResearchInChina, in its 20122015 industry report maintains that China is the world’s largest producer and consumer of plastic pipes. The country’s output reached 10 million tonnes in 2011, with year-on-year increase of 19%. PVC tops the materials list Material wise, PVC is the most widely used resin, accounting for 55% of the entire plastic pipe demand, according to the Freedonia report. Ceresana said that various types of pipes are used depending on requirements such as PVC, which is comparably cheaper and used widely in the sewage, potable water and cable protection applications. While PVC reigns supreme for now, it is just a matter of time that HDPE will overtake PVC in potable water distribution applications and as crosslinked polyethylene (PEX) becomes more common in many regional markets, said Freedonia. HDPE pipes with improved resin formulations are also finding growing usage in the oil and gas segments, where exploratory, well drilling and pipeline construction activities are generating increased consumption of pipes. Soon to gain importance are PP, PE, PB-1, PA and ABS for ceiling cooling, compressed air systems, heating installations as well as automobiles and naval vessels. savings is the Green Pipe downstream equipment with its “green cooling” system. It operates with frequencycontrolled vacuum and water pumps. This cooling system also operates with a water volume flow cut by almost 90%. This is achieved by pumping the cooling water into the last tank and then passing it on from one tank to the next in the opposite direction to the extrusion process. Meanwhile Labotek, jointly with Battenfeld-Cincinnati, has developed an EAC variant of its combination dryer, which was shown with the line. The drying system operates with two separate drying zones. The hot air drawn from the pipe die is blown into the top zone. The bottom zone is laid out as a conventional drying zone with a dry air drying system to ensure the necessary degree of dryness for the material. The dryer is said to consume 11 kW for drying 1,500 kg/hour of granulate, compared to conventional dryers that need 92 kW, resulting in energy savings of up to 89%, according to the firm. SABIC has developed a new PE compound Vestolen A-Rely 5924 R 10.000, which it says, compared to a conventional type of PE-100, requires less energy for melting and processing in an extruder. Meanwhile, at the K2013, Battenfeld-Cincinnati will introduce the gearless GL version of its solEX extruder series. It features a new drive system that consists of a high-torque motor, with claimed higher energy efficiency compared to the motor-drive combination used so far. Other benefits are a low noise operation and vibration levels and a compact footprint (with no gearbox). Pipes/profiles plant at RBE, thus firmly establishing RBE’s foothold and technological superiority. It was sold to South Africa. The major applications of such pipes are in sewage, drainage, gravity and pressure water mains, irrigation and industrial pipeline systems and we expect it to take off in India since PVC pipes in sewage and drainage sector are growing rapidly. PRA: Provide an update on the new flat pipe manufacturing unit for drip irrigation line. Sandip: Three flat drip irrigation lines are already in production based on the confirmed orders from yet un-named Indian customers. They will be ready for trials at the end of September. The maximum line speed of the machine is 150 mpm and output is 270 kg/hour, which once again will be the first time in the country. PRA: What are the features of RBE’s machines? Sandip: RBE machines are fully built with Bausano’s design technologies. The lines are incorporated with a multi-drive system, longer L/D ratio, screw thermocontrol unit, load cell to measure back pressure, safety system, touch screen control panel for complete plant with PLC, unique die design for single and double exit, vacuum sizing tank with calibrator, double chamber vacuum tank, multi-track haul-off with long contact length. Other features like online power measuring system, special coating on screw, automatic diameter and thickness control system, online belling system can also be incorporated. Basically, its world class technological products at affordable price levels. 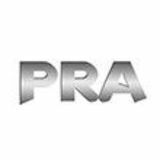 PRA: What is RBE’s future outlook for the industry? 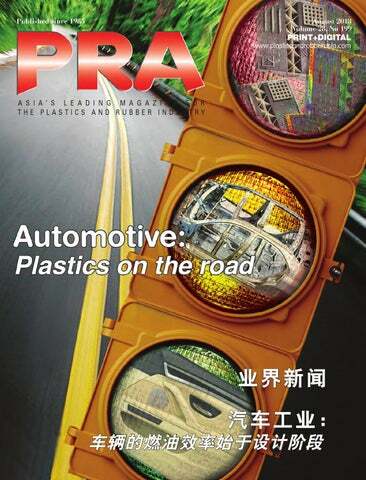 PRA: How is the market for the wood plastic composites in India? Sandip: Wood plastic composite boards/panels/sheets find uses in doors, kitchen cabinets and other furniture and are replacing MDF, plywood, solid wood and particle boards in India. WPC decking and profiles are upcoming markets in India. RBE is ready for this market since our partner, Bausano of Italy, is already well established in this business. Sandip: We expect the growth in PVC pipe and profiles will continue; the increase in the acceptance of UPVC profile and WPC products by Indian builders/ architects will boost the market. The building and construction sector has a demand potential of 730 kilotonnes/year for PVC products and there is a huge potential in water, irrigation sector and housing sectors. Furthermore, Bausano has a strong presence in Asia, which will be beneficial for RBE. Going around the Green Wall of China If you think segregating household scraps in colour-coded bins is enough to give breathing space to the environment’s congested landfills, think again. The plastic scraps travel a long and tedious journey from the source to the recyclers. And to complicate things further, the scraps are now labelled, graded (low or high) and politicised, says Angelica Buan in this report. orting plastics waste is not the end all and be all in saving Mother Earth and ultimately, in a breeze attempt to cork that gaping hole in the ozone layer. Keeping the increasing tonnage of plastic waste at bay requires sound infrastructure and facilities to recycle more than what would end up in landfills or clog the drains. Too many countries, from the emerging to matured economies, are faced with deficient solid waste management practices, even on a municipal level. On a global scale, the plastic waste route from source to recyclers is bottlenecked. For instance, China has put up a “green fence” to keep out “low grade” post consumer plastics from countries like the US and UK. Keeping the lid on in China China’s Operation Green Fence (OGF), launched in February this year, requires that import/export of wastes are checked for quality, public and environment safety. Authorities may also bar noncompliant low grade waste from entering the country, especially waste that is unlawfully imported. The policy also ensures parallel monitoring of landfills and locally generated waste and contaminated materials (coming from local waste collectors and recycling facilities that mix plastics with other materials in one container, and henceforth contaminate the bales). China is inundated with its own post-consumer waste, hence it refuses to open its gates wider to more trash. It is also mulling over refusing unwashed plastic scraps. In Hong Kong, some 843,000 tonnes of plastic waste was collected in 2011; 99.5% of this was exported to China and Vietnam for recycling. This was stated in a Hong Kong waste reduction report, which also spelt out factors that constrain plastic waste recovery, such as comparably high land and labour costs, lack of financial incentives to reduce waste and space limitations. The report said that contaminated plastic waste, when co-mingled with household waste, results in a higher cost of cleaning and lowers the market value. China has created a strong domestic recycling infrastructure to support its spiralling demand, creating a worldwide network of brokers constantly seeking scrap and waste streams to sell to Chinese processors. The country, thus, has become a major destination for the world’s plastic scraps from the US, Japan, Germany, and the UK. For instance, the UK ships around 100 containers/ day of recovered plastics to China, according to the British Plastics Federation (BPF), which is promoting the use of recycled plastics in domestic manufacturing. London-based information provider CBI China anticipates recovered plastic demand in China to surge to 29 million tonnes by 2015. China’s five-year plan inculcates that the country’s environmental protection sector, focusing on recycling and energy-saving, should be given serious attention. According to the UK-based Waste & Resources Action Programme (WRAP)’s 2011 market report, China’s packaging sector accounts for more than 40% of the recovered plastics demand that is channelled to making PET bottles and bags (PP, rPET, rPE). This was followed by the construction sector, which drives 20% demand for 70%-recycled content of rPVC, PE, rPP in pipes; and rEPS/rPS boards. Newer applications have emerged such as wood-plastic and aluminum composites, which contain recycled tPE and rPP. Market edge is in the bag Since it started in 2005, Austria-based Bag Solutions Worldwide (BSW) has manufactured and developed machinery for the production of flexible packaging made of woven PP in Prostejov (Czech Republic), whereas the head office, sales, service and R&D are located in Vienna, Austria. Now, it is on a mission, which is to expand its markets in Asia. Flexibility in purpose Staying true to being versatile, woven sacks made from PP material are a preferred packaging solution for handling and transporting industrial and consumer-related bulk solids – even under the toughest environmental conditions, according to BSW, a member of German machinery group of Windmöller & Hölscher (W&H). BSW makes a wide range of machines, either in single groups or complete units, for the production of block bottom valve bags known as AD proTex bags, raffia bags and FIBC´s. Growing in Asia In 2010, BSW established a regional office in Malaysia, sited in the premises of its local agent Rieckermann Malaysia, and together with the Bangkok-headquartered office of W&H the ASEAN market is covered. “Demand for BSW’s machines is increasing year by year in Asia Pacific and China. The two countries that have acquired the highest number of our machines are Indonesia and Thailand,” said Regional Sales Manager René Winkler, who covers sales in Asia Pacific and China. He said that 2012 was the best year in the history of the W&H group in Asia “because it hit an order intake worth René Winkler EUR100 million.” says that due to the good order “The close cooperation of BSW and W&H is a big benefit situation, BSW for all our clients, as flexible packaging is our world, while has increased extrusion, printing and conversion are our passion,” he said. its production Included in the W&H group range are woven bag capacity processing machines; and W&H’s film processing machines (blown/cast film lines); paper converting machines, and FFS packaging systems; as well as both firms’ offerings that include, flexographic and gravure printing presses and surface finishing machines. New gateway for more output Early this year, BSW expanded its 8,000 sq m-Prostejov operations with a second factory. The new building has a 5,000 sq m floor space and 1,000 sq m office space that accommodate increased volume of assembly work, a visitor centre and a fully equipped woven sack technology centre. The opening of the facility coincided with an in-house exhibition of the latest range of BSW machines and applications, which was attended by 120 visitors from 24 countries. “W&H developed the first pinch bottomer called AD Converpinch for coated woven PP with sealable film, instead of glue, which saves on expensive glue costs,” shared Winkler. Winkler also said that the production of AD proTex bags (block bottom valve bag) is also increasing. “This also means that the number of W&H converTex machines being bought across Asia is increasing every year.” Other updates showcased at the open house are as follows. At the new facility, the entire spectrum of woven sack machinery can be tested. Essential markets for PP sacks According to BSW, the high durability of the PP material combines optimal protection with minimal resource consumption. “Only 80 g of PP is required to produce a sack strong enough to transport 50 kg of cement from the manufacturer to the consumer,” says Winkler. The cement industry is a major consumer for the woven sacks that feature robust cross bottom valve bags made from coated PP woven fabrics. Using existing packers, they are as easy to fill as traditional paper bags, according to Winkler. Pinch sacks made from high-quality printed and BOPP laminated woven fabrics are used for industrial and pet food packaging due to their good optical properties and unmatched durability. Working alongside BSW, W&H has contributed key developments to the machinery side of this evolving market, adds Winkler. New sealing technique The development of joining woven fabrics using hot air instead of glue has ushered in new applications, said Winkler. With laser perforation, the company has initiated the production of sophisticated woven sack structures based on stepped-end tubes. “Both BSW and W&H complement in their work to innovating woven sack production process and outcomes,” he adds. While BSW specialises in systems for fabric manufacturing and finishing, W&H contributes its know-how in the design of converting machinery. Amongst BSW’s clients is Cherat Packaging (CPL) in Pakistan that relies on the group’s combined expertise to sustain its reputation of being the country’s largest producer of multiwall paper sacks. Its current capacity runs to an estimated 265 million pieces/year. According to CPL, it started production of hot air-sealed PP valve bags in early 2010, in an aggressive bid to serve the requirements of a group-owned cement plant located in Nowshera, near Peshawar. “For this project, we were looking for not just a supplier of the machinery, but for a strategic partner. Our goal from the beginning was to play a leading role in the PP woven sack market in Pakistan, just as we do in the paper bag side,” said Amer Faruque, CEO of CPL. The project has come a long way since then, kicking off further in mid-2011 when W&H and BSW supplied the factory with equipment. Included are a TiraTex 1600 tape stretching line, a number of AdvanTex circular looms, an EcoTex 1600 extrusion coating line as well as two ConverTex SL valve bottomers, ensuing a busy full production plant that delivered its first AD proTex bags by the end of the year. CPL said that it has been able to top the output of 200,000 bags/day with the quality of the tapes and fabrics. Consequently, the company has become a showroom for the AD proTex cement bag production and is undertaking a feasibility exercise to expand the facility. process gives a smoother filling, reducing hesitations and sharp changes in velocity. and this is the reason why we are making attempts to provide a proper infrastructure and support for our machine sales.” In terms of sector growth, the firm views strong growth in the packaging sector, especially in Indonesia, as well as in the automotive sector, which partakes 40% of its global business. power deviation monitoring enables Delta3 to automatically detect signs of plastic leakage and impending heater failure, mitigating damage to the mould. In addition, Delta3 has been designed on a platform that supports network connectivity and closer integration with other Husky products for a more complete system, including remote monitoring capabilities using the Altanium dashboard application. anadian Mold Hotrunner Solutions has launched the M3 micro injection machine, capable of producing 32-cavity precision runnerless parts. Optimised for cleanroom production, the M3 is a tiebar-less machine with a clamp force of 4 tonnes. It uses four modular inserts, each containing eight micro cavities, which the company says completely does away with the traditional injection mould structure. The inserts use the same parameters as the prototype moulding process and simplifies mould design. Up to eight different part designs can be injected in each cycle, allowing a 5-second cycle time with shot weights less than 10 mg. Gating to smaller subrunners can increase each cycle yield to 128 cavities. The second component of the Ultracom package consists of the overmoulding materials that have been developed specifically for use with these laminates. These materials are also from the Ultramid and Ultradur product lines, this time in the form of compounds. By using them in combination with the laminates and tapes, it is possible to injection mould complex parts that have very high mechanical reinforcement by use of continuous fibres at precisely defined locations, while simultaneously incorporating specific functions as the result of overmoulding. market of composite semi-finished parts for the automotive sector. In this presentation by Dr Andreas Wollny, Marketing Lightweight Composites, Engineering Plastics Europe, he explains the complete Ultracom service package BASF has developed for composite parts. First commercial Ultracom packages t the K2013, BASF will showcase the first commercial Ultracom product packages. For customer projects requiring parts of high stiffness, the package consists of an Ultralaminate based on polyamide 6 (or an Ultratape if highly directed reinforcements are needed) in combination with Ultramid G12 COM with 60% glass fibre reinforcement as an overmoulding compound. he weight saving trend in the automotive sector is becoming increasingly important as the year 2020 approaches â&#x20AC;&#x201C; this is when the CO2 emissions of European automobile manufacturers must comply with significantly more stringent requirements. Thermoplastic materials, with both short and long fibre reinforcement, have made a major contribution to lightweighting today, replacing innumerable metal production components. In the meantime, these plastic components and materials are starting to reach their limits. The next big advance in metal substitution in vehicle construction will succeed only with a technological leap, namely, using continuous-fibre reinforcement of injection moulded structures, ie. with thermoplastic composites. Once fully established, thermoplastic and thermoset composites will account for a market volume of about EUR2 billion in the long term. New line of semi-finished laminate and tape products or this reason, BASF is now expanding its activities in the field of engineering plastics to include Ultracom. This is a package comprising continuous fibre reinforced semi-finished products, adapted overmoulding compounds and the complementing engineering support. The key innovations in this new approach are laminates based on woven fabrics and unidirectional (UD) tapes that are fully impregnated with Ultramid or Ultradur, the polyamide and PBT materials from BASF. These thermoplastic composites are being enhanced in a development cooperation together with TenCate, a fibre-reinforced composites manufacturer, and Owens Corning, a supplier of glass fibres. Injection Moulding Asia Automotive Simulation, process support and testing laboratory he third component of the Ultracom package covers the engineering support provided by BASF. This includes not only assistance in the form of designing the part on a computer with the aid of the universal simulation instrument Ultrasim, but also support when it comes to processing the material and manufacturing the part. For this purpose, BASF has added a fully automated pilot line combining an injection moulding system with automated laminate feeding at its technical centre. The engineering support, is not just an option that can be used when necessary, as it was in previous lightweighting projects. It is an essential component of all customer projects. Without the ability to optimise design and production and to describe the behaviour of the composite materials and the parts numerically via integrative simulation as in the case of the conventional short and long fibre-reinforced thermoplastics, a successful full scale market launch would be difficult to achieve. Fits like a glove n the material side it is a prerequisite and at the same time a challenge to ensure an optimum combination of fibre and polymer on the one hand and tape or laminate and overmoulding compound on the other hand. They must match each other perfectly like a lock and key. The fibres must have a surface sizing formulated for the specific polymers that they are impregnated with and vice versa. Overmoulding materials, in turn, must satisfy the typical requirements for injection moulding while simultaneously permitting optimum bonding/adhesion of ribs to the laminates in a fast process. Joint learning curve â&#x20AC;&#x201C; the best of two worlds t present, the greatest technological obstacle is the development and introduction of highly automated and robust process technologies, which will also lower the process costs. Currently integrated systems consisting of injection moulding machines, moulds, automatic positioning equipment and heating structures are not available off the shelf, neither are the individual elements matched to one another. When they become available, thermoplastic composite parts reinforced with continuous fibres will, in the near future, provide the best possible combination of weight savings, cost efficiency and performance for body and chassis components. Fibre laminates or tapes permit production of moulded parts that are reinforced locally along the existing load paths while simultaneously incorporating additional functions and modularisation via conventional injection moulding. The two different types of semi-finished products (laminates and tapes) fulfill different functions. While thermoplastic laminates are fibre fabrics impregnated with thermoplastics, unidirectional tapes require layered arrangements that must first be produced from the fully impregnated fibre tapes to create structures. Thermoplastic laminates are thus better suited for quasi-isotropic hybrid parts with a large surface area, while tape-based inserts are more suitable for local reinforcement of moulded short glass fibre-reinforced parts with anisotropic properties. Working together with customers in the automotive sector, the experts at BASF are giving themselves three years to develop production concepts for thermoplastic composites with continuous-fibre reinforcement for body and chassis parts. All partners in the industry must build up know-how together to develop the materials, the process technology and the market. For its part, BASF intends to spend a high two digit million euro sum on R&D in its composite activities in the next three years. Some customer projects are already ongoing. BASF is ready to contribute its expertise in the formulation and processing to additional customer projects. Rubber Journal Asia •	Japan-based Sumitomo Rubber Industries (SRI) is taking over Apollo Tyres South Africa for US$60 million. Meanwhile, Apollo Tyres is acquiring a 100% stake in US-based tyre maker Cooper Tire & Rubber Company for US$2.5 billion. •	South Korean tyre maker Hankook is investing EUR313 million to expand capacity at its Hungarian plant to 17 million tyres/year from 20132015. •	US speciality chemicals firm Cabot Corporation is purchasing the remaining 60% equity of its Mexican carbon black manufacturing joint venture, NHUMO, S.A.de C.V. for US$105 million from Grupo Kuo S.A.B. de C.V. (KUOB.MX). The plant has a capacity of 140,000 tonnes/ year and is located in Mexico. •	Singapore-headquartered rubber producer Halcyon Agri Corporation is acquiring Malaysian firm Chip Lam Seng for RM63 million. Chip Lam Seng’s current two 180,000 tonne/year-natural rubber factories in Ipoh will double Halcyon’s capacity to more than 300,000 tonnes/ year. •	French tyre maker Michelin and Indonesian PT Petrokimia Butadiene Indonesia, a wholly-owned subsidiary of PT Chandra Asri Petrochemical, are in a joint venture to produce synthetic rubber in Indonesia. •	Germany-headquartered Anvis, a maker of automotive anti-vibration products, will be bought by Japanese firm Tokai Rubber Industries from HIG Europe. Meanwhile, Tokai has completed the purchase of Brazil-based Produflex Minas Indústria de Borrachas. •	Malaysian glove maker Rubberex has bought another glove producing firm, Alliance Rubber Products, for RM113 million. •	A consortium of the Russian Direct Investment Fund (RDIF), Titan International, one of the world’s largest manufacturers of agricultural and industrial tyres, and One Equity Partners (OEP), a global private equity fund and a subsidiary of JP Morgan Chase, are buying a controlling interest in Russian agricultural and industrial tyre manufacturer VoltyreProm. •	Contitech Conveyor Belt has acquired US-based conveyor belt manufacturer Legg, as part of its expansion move to the US. •	Speciality chemicals company Lanxess has converted its largest production line for the Keltan-branded EPDM synthetic rubber at Geleen, the Netherlands, to the ACE technology. •	India-based TVS Automobile Solutions and US-based Myers Tire Supply International have formed a partnership to mutually promote their products in Asia. •	Malaysian glove maker Kossan Rubber Industries is investing RM100 million to build three new plants to boost its nitrile glove production capacity to 22 billion pieces/year. •	Lanxess subsidiary Rhein Chemie has opened its first Russian facility to produce Rhenogran (pre-dispersed, polymer-bound additives) for the rubber processing industry. •	Chemicals firm BASF is increasing by 50% its production capacity of Kerosin phenolic resin used as a tackifier for tyre manufacturing, at Ludwigshafen, in Germany. •	Malaysian agriculture and agri-commodities company, Felda Global Ventures Holdings, is setting up a natural rubber processing plant in Myanmar this year. •	US traded, China-based Asia Carbon Industries has completed its speciality carbon black production facility in Shanxi, China’s highest coal producing province. •	German firm ContiTech has broken ground on the 4,000 sq m expansion of its plant in Dolné Vestenice, Slovakia. •	Vietnam’s Da Nang Rubber has opened a US$141 million radial truck tyre plant, with a capacity of of 600,000 units/year. The partner companies are EFJM, EMAC, KSB, Geffica, Sacred, ITC Élastomères, Wattelez, Michelin and Hutchinson. Five bio-sourced EPDM grades ermany-based synthetic rubber specialist Lanxess will be adding not one but five new grades to its portfolio of “green” EPDM (Keltan Eco) before the end of 2013. This will lead to a further significant increase in the range of applications for this synthetic rubber using ethylene from a state-controlled, biobased source. The five new grades are “drop-in” variants of conventional EPDM rubber grades from Lanxess that are already in widespread use. If all goes according to schedule, they will be commercially available in the second half of 2013. The first Keltan Eco variant, which is now marketed under the name Keltan Eco 5470, is made from biobased ethylene at Lanxess’s Triunfo site in Brazil. It is a general-purpose, medium-viscosity grade with a diene content of around 5% that is suitable for a whole host of applications. The new additions include amorphous grades with a high molecular weight and high diene contents for rapid vulcanisation, a high-Mooney variant with a medium diene content and two low-Mooney variants with especially good flow properties. Keltan 6950 Eco and Keltan 9950 Eco (around 9% diene), for example, are suitable for the manufacture of solid and foamed automotive glazing seals – still one of the most important applications for EPDM. Applications for Keltan 8550 Eco (around 5% diene) include the production of window seals in the construction sector, while Keltan Eco 3050 and 0500R, with their particularly low viscosity and no termonomers containing double bonds, are special grades for oil additives. The firm says it focused on Keltan variants that are already used to “successful effect in the conventional form, thus making it easy for users of these products to switch to the new grades.” The ethylene used to produce the new Keltan Eco variants is made from sugarcane in Brazil. All five new Keltan Eco grades contain around 50% ethylene from this sustainable source. Biodegradable rubber, a way forward he increasing amount of landfilled rubber and latex waste is an imperative concern for government entities and environmentalists worldwide. As such, US firm Enso Plastics has introduced Restore, an additive technology that accelerates the natural biodegradation of synthetic rubber in landfills. Plastics have traditionally received most of the attention regarding waste with programmes such as recycling, biodegradable, compostable and renewable solutions being offered. Unfortunately rubber waste, although just as important, has not received the same attention. This is until now, says Enso, an environmental plastics solutions company with proprietary biodegradable and biobased solutions. Enso’s Restore increases the biodegradation of synthetic rubber within natural microbial and municipal landfill environments. Independent laboratory testing shows nitrile treated with Restore biodegrading 16.9% in the first 20 days, compared to nitrile showing no biodegradation during the same time period. Similar accelerated biodegradation results are seen in polychloroprene, polyurethane and other synthetic materials when treated with Restore, says the firm. Bioproof to ensure supply ince 2000, the demand for natural and synthetic rubber has increased by 50%. This fact, combined with rising raw material prices especially for crude oil, has prompted French companies to launch the BIOPROOF project. The aim is to strengthen industry’s competitiveness by using biobased or recycled materials. The project started in April 2013 and is planned to run for five years. Activities undertaken for the BIOPROOF project include testing of the new materials in laboratories and test facilities by materials specialists who will primarily examine the materials for ecological compatibility and economic efficiency. Asphalt rubber is a growth market, according to a US tyre recycling firm executive. Jeffrey Kendall, CEO of Liberty Tire Recycling, said that the recycled rubber market has sprung up amidst a weak economy and that asphalt rubber can loosen up the purse strings. He said that an overall acceptability for use of asphalt rubber has been spreading throughout the US and Canada over the years, and thus shows growth potential in the recycling market. Tyre maker Bridgestone Americas has also shown support in diverting used tyres for rubber asphalt in roads. Last year, it launched the “Spent Tire Program”, which ensures that for every one tyre sold, a spent tyre is sent to facilities that offer options for valuable use, and asphalt rubber is one option that, the company says, has a strong added value. sustainable and practical uses for used tyrederived rubber, with the conclusion that these discarded tyres, or at least a large percentage of them, are prevented from making their way into landfills or being burnt. Recovered rubber has found several applications, with increased campaigns for more products with recycled content (except for manufacturing new tyres), says Angelica Buan in this report. n end-of-life tyre (ELT) study undertaken by US-based World Business Council for Sustainable Development (WBCSD) (an association made up of member company CEO’s or their representatives) estimates that the global quantity for ELTs is 1 billion/year, with one passenger tyre/person discarded each year in the developed world. ELT recovery can divert around 4 billion used tyres from being sent to landfills and stockpiles worldwide. Recovered ELTs can augment raw/virgin materials to provide costeffective and sustainable energy for several Industries. Tyre derived fuel (TDF) is a key output for recovered ELTs and is mainly used in cement kilns (as a supplementary fuel), thermal power stations, pulp and paper mills, steel mills and industrial boilers. Tyres are a higher source of energy compared to most solid fuels, states WBCSD, adding that reused tyres can also be used for civil engineering projects, to replace ground or crumb rubber that is also used in rubber roads. The US and Japan are the major users for TDF from ELTs, and energy recovery is about equal to material recovery in Western Europe and the US, the report said. A smooth driving opportunity iscarded rubber tyres have found applications in the engineering sector. Asphalt rubber, according to the US Environmental Protection Agency (EPA) website, is the largest single market for recycled rubber tyres (RTR), using approximately 12 million tyres. Countries such as the US, Australia, UK, China, Brazil, Spain and Germany have started building rubber roads using asphalt rubber. It is made by crumbling used tyre rubber, which is then added to bitumen and ground stone. This technique renders a quieter road, bringing down traffic noise by 25%, and features shorter braking distance. Rubber Journal Asia Reclaimed Rubber be used in place of polymer-modified binders, such as SBS, and achieve the same performance-graded results. The RTR material is relatively cost effective compared to a polymer binder, and is not subject to chemical production variations and issues with supply/demand. India and overseas, but the longer service life the technique renders makes its use cost-effective. The IRB, together with the Kerala Highway Research Institute, has been advocating rubberisation of roads since 1974, with about 50 km of roads in various sites already rubberised to observe performance of the material. Meanwhile, TIFAC has also been actively promoting the benefits of asphalt rubber. It says that, firstly, low regard against retreaded tyres and their products must be eliminated. Whole used tyres, which are not suitable for retreading may be used as tree guards to prevent erosion; or these can be shredded and crumbed for use as asphalt modifiers for road construction or athletic and recreational fields and as a modifier of polyurethane. Moreover, it strongly suggests that R&D activities in useful recycling and disposal of scrap tyres must be initiated by the industry and the government. Innovations in rubber recycling eanwhile, uses for scrap rubber are continually being discovered to replace new materials and prevent a supply rundown or to mitigate the high costs of availing the latter. One technology by the German Fraunhofer Institute for Environmental, Safety and Energy Technology comes in the form of repurposing rubber residues. It recently set up RUHR Compounds that focuses on commercialising an elastomer powder modified thermoplastic (EPMT) that it has developed. The new material exhibits the desired properties for use in the manufacture of high quality products such as wheel and splashguard covers, handles, knobs and steerable casters. Three basic EPMT recipes have been developed to date. The rubber residues, which vary in length, are granulated to 3 mm-size particles, then cooled with liquid nitrogen and ground into elastomeric powders. These are then combined to the melt-mix process with thermoplastics (such as polypropylene) and additives. The new compounds, which can contain up to 80% residual rubber, can be processed in injection moulding and extrusion machines. Moreover, the end products containing EPMT may also be recycled when they reach the end of their useful life. Sports shoe manufacturer Nike is collaborating with Fraunhofer for its new EPMT-based products. Meanwhile, in the US, a team of polymer researchers from the University of Akron, with funding from the National Science Foundation, NASA and several industrial companies, has developed a new rubber recovery technology for industrial use. It uses an ultrasonic devulcanisation extruder to enable the recovery of rubber materials from tyres and rubber soles, which are difficult to reprocess due to rubberâ&#x20AC;&#x2122;s vulcanised or crosslinked nature. The patented technology, which has taken 15 years to develop, devulcanises the sulphur crosslink bonds in the rubber compound, allowing the scrap rubber to be reprocessed and reused.